﻿ eN Diamond Shape Pierced Earring - Pipperoo: deliver Japanese works to your countries. 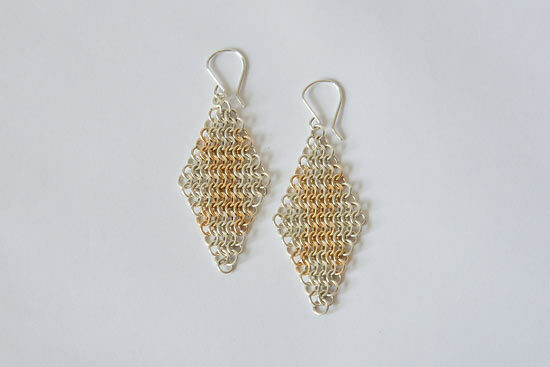 This earrings are made out of Silver925 and 14k gold-filled. These accessories are made from many tiny handmade rings from wire and breaded to the chainmaille [Maya Ingles] with the tiny rings, one by one.